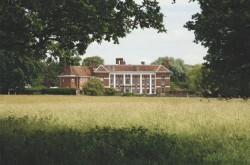 Then look no further than Parklands, a beautiful listed mansion, offered to you on exclusive use. Imagine your guests arriving in a fleet of cars, and being welcomed into the house with a delicious reception drink. The stunning reception rooms are the perfect location for those special photographs, before being called through for dinner in the grand Pavilion and dancing the night away listening to your favourite tunes. Parklands can offer the ideal location for your prom, and we will tailor make the day to suit your requirements.